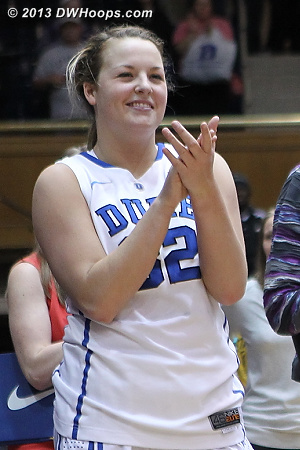 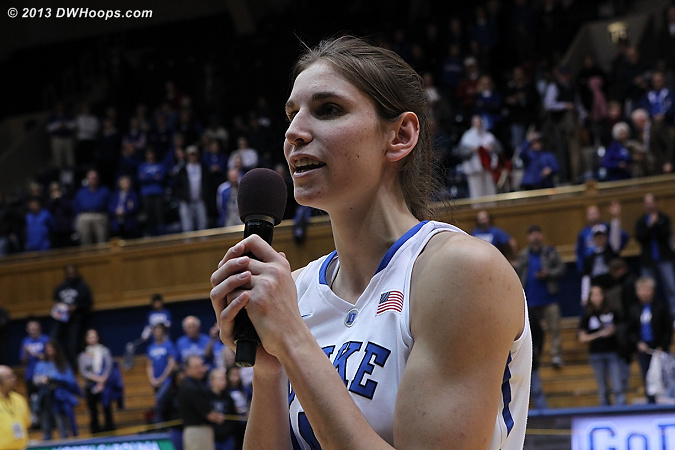 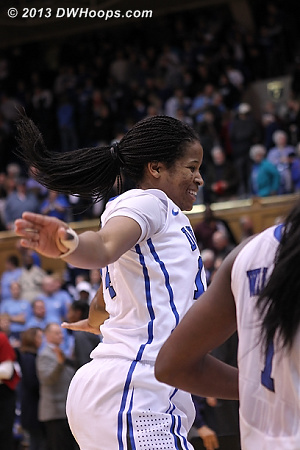 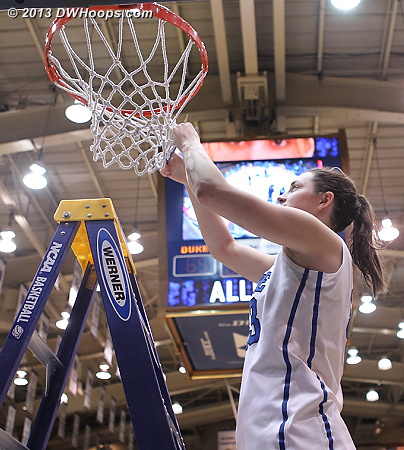 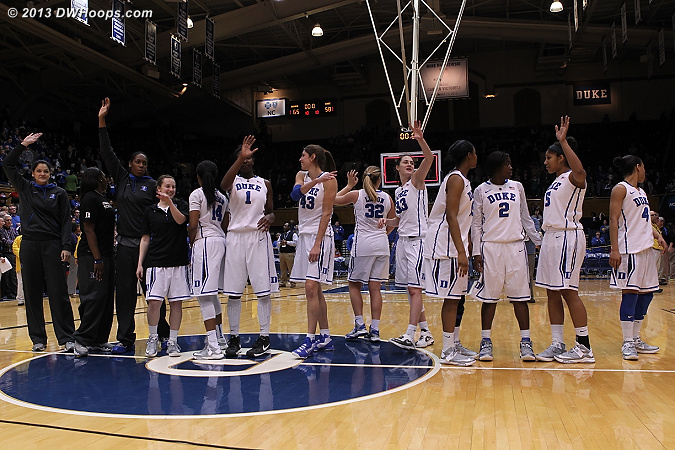 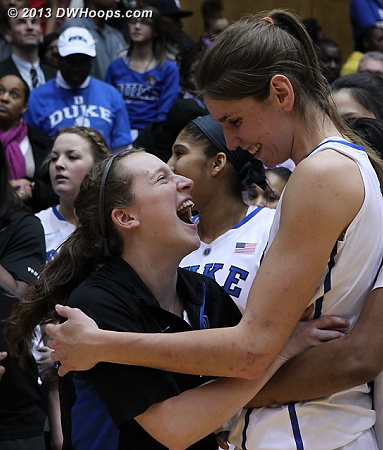 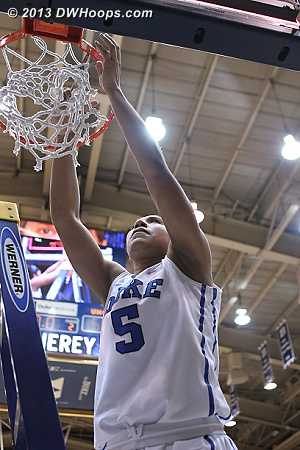 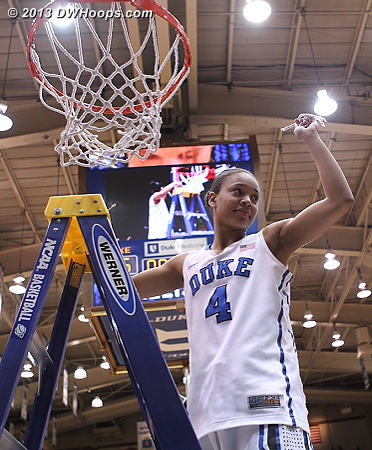 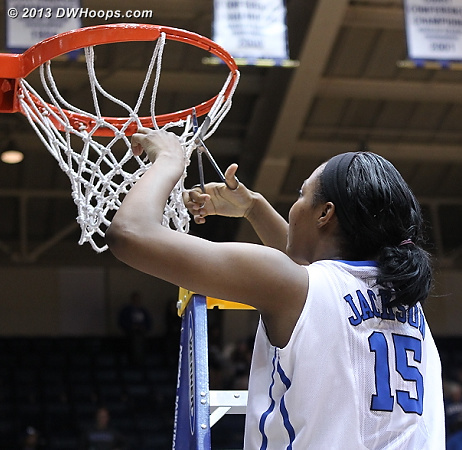 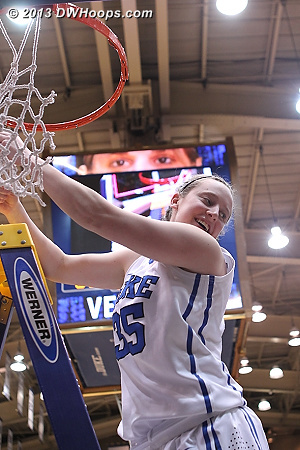 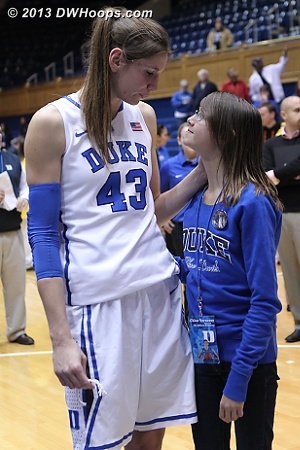 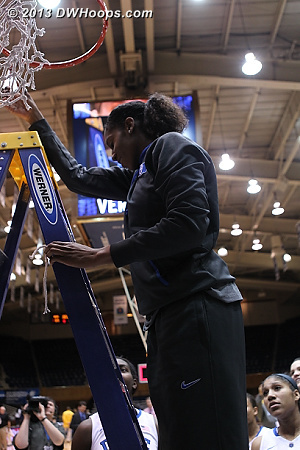 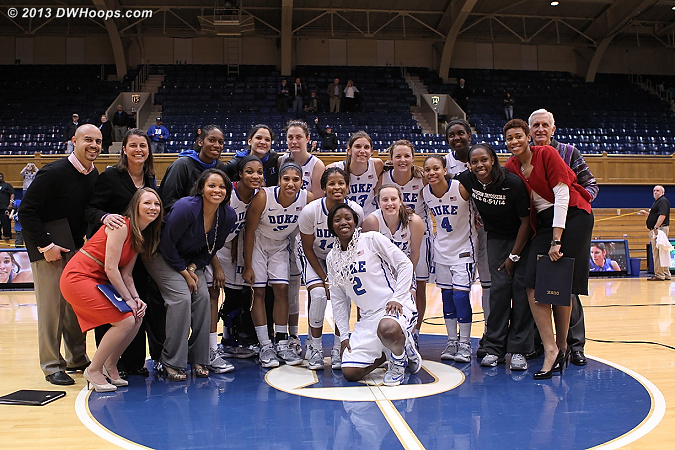 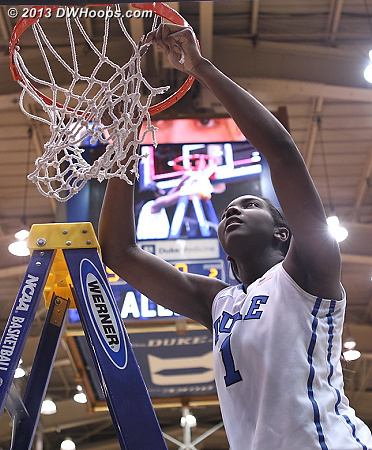 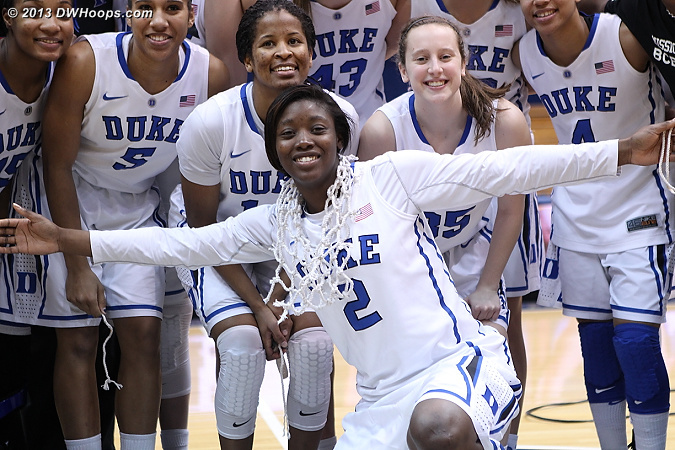 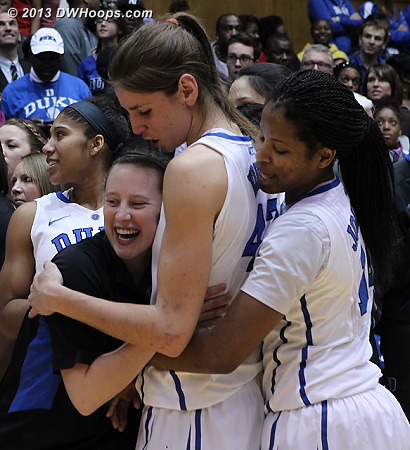 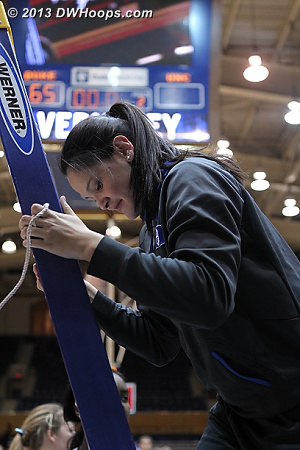 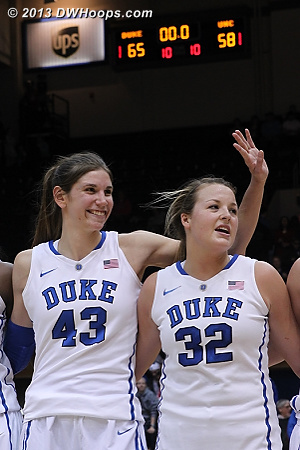 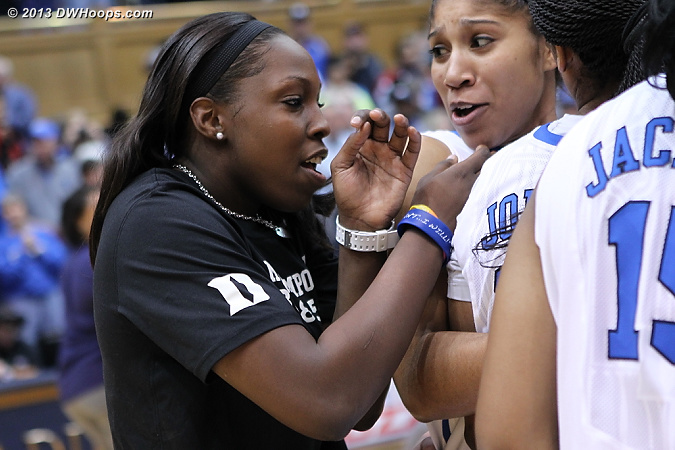 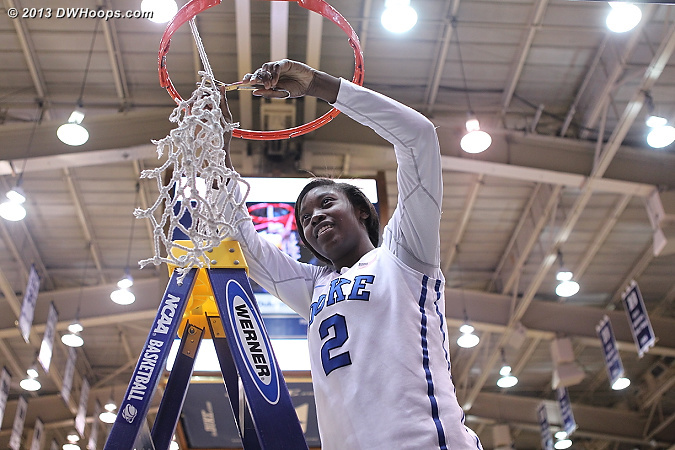 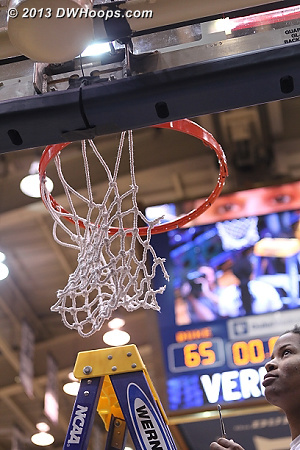 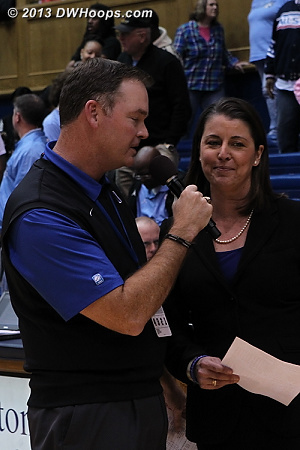 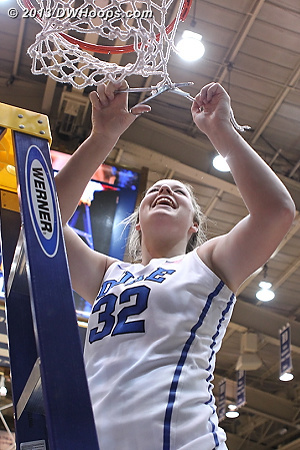 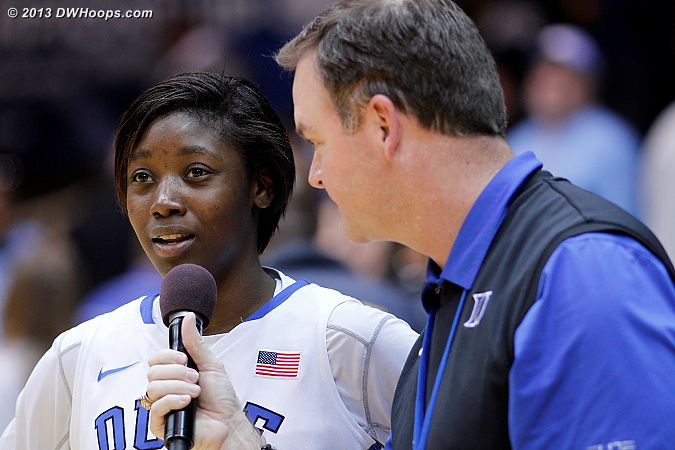 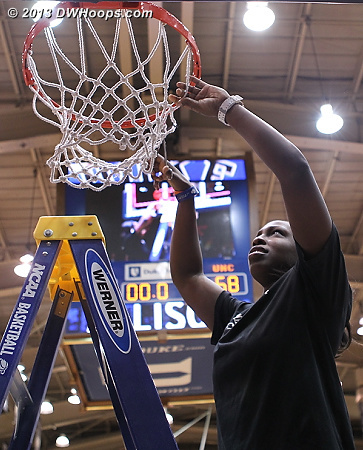 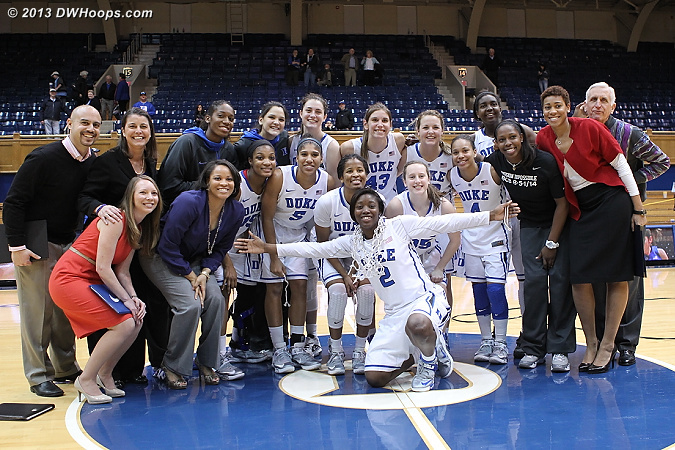 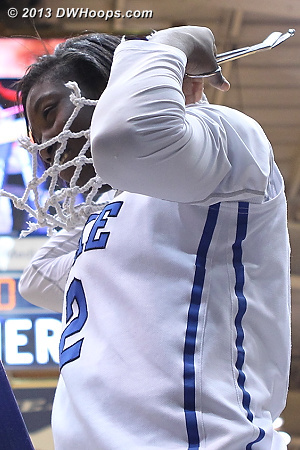 Duke cut down a home net to commemorate their 2013 ACC Regular Season Championship and honored senior Allison Vernerey after defeating UNC 65-58 in Cameron Indoor Stadium on 3/3/2013. 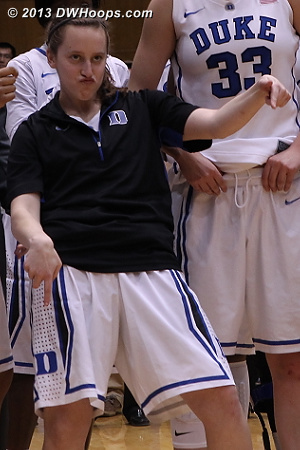 We're not sure if this is the dougie or the robot. 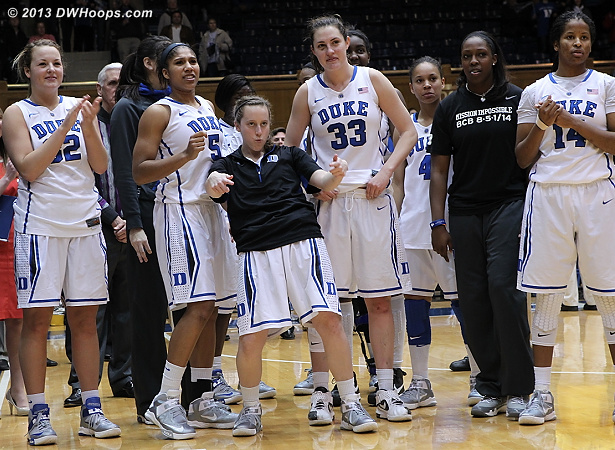 Crazy kids these days! 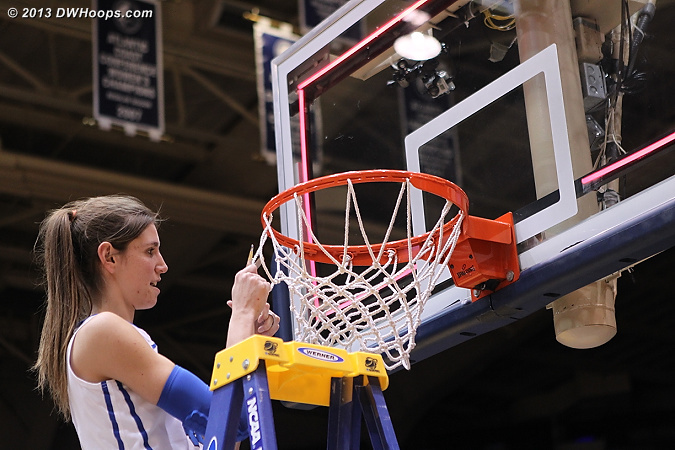 Jenna cuts the net with the dullest scissors of the modern age.